Is your business overhead garage door in Mt. Vernon misbehaving? Your garage door is a mechanical device at its heart. You may use an electronic remote to open it, but at its heart, it is a device with gears and a motor. When those gears or the motor starts having problems, you will know it. Many overhead door problems begin as a small glitch. However, they can become major without quick intervention. If your business depends on that door, you need overhead door repair experts on the scene quickly. Their skills in overhead troubleshooting will give you the info you need. 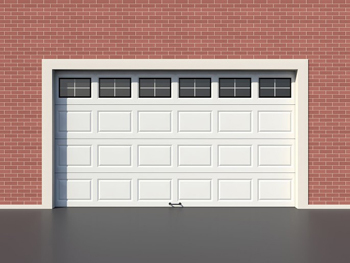 Is your residential overhead garage door in Mt. Vernon an eyesore? The fact is that your home only looks as good as the door does. If it is time to get a new overhead door, you need to contact Mount Vernon Garage Door Co. We can help you out. Overhead Garage Door Mount Vernon carry a full line of doors as well as overhead openers. Our technicians can help you select the right door for your home and have it on order quickly. Within a few days, you have a new look to your garage and home. Does your overhead door in Mt. Vernon need help? Regular maintenance will go a long way to keeping your residential or commercial garage working and looking good. As the leading overhead company in south Westchester County, we are here to help. We can perform routine maintenance tasks like checking alignment and verifying the safety equipment works properly. This routine maintenance will help you avoid overhead repairs. Prevent overhead problems with a checkup occasionally. Get rid of that old, unsecured garage door right away and ensure that you and your family are secure by getting yourself the best quality, safe and secure door. Do not compromise on this as even a slight delay in repair can be very dangerous. We provide services like garage door and opener installation, repair and maintenance, and put a lot of time and effort to ensure our services are of the best quality so as not to disappoint our loyal customers. Let us give you top customer service that you definitely deserve. Give us a call today. You will not regret it.